The Safest Way To Dry Your Vehicle. 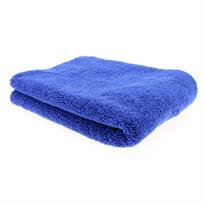 The UF Ultra-Soft Microfibre Drying Towel is the easiest way to avoid paint swirl marks. Bound with a soft cotton edge these microfibre towels absorb 7 times their own weight in water and can easily dry a small / medium car without wringing out. The UF Microfibre Drying Towel Junior is designed to soak up the maximum amount of water in a single pass.